We weren't the first to ask and we won't be the last. Seems there's a queue waiting for the new Hyundai Sonata Hybrid for 2013. Too bad. The expectation is high for a vehicle that promises to offer the best balance out there of engine power and high fuel economy -- two things that the law of physics always seems to turn into a figurative boxing match. This isn't the first Sonata hybrid to hit the market. The vehicle, with what Hyundai calls its Hybrid Blue Drive system, debuted in late 2010 as a 2011 model. The updated version that went on sale as a 2013 for U.S. buyers this March is the kind of tease that could make Hyundai fans sit outside a dealership driveway waiting for the car hauler to start unloading. And with good reason when you look at some reasons why. For those who bypassed 2012 for the revived 2013 model, here's what was worth waiting for. How about tooling along on electricity alone more often and for longer stretches than the previous editions? How about technology tweaks that substantially improve combined horsepower (from 166 to 199)? How about the ability to drive on electricity alone as fast as 75 miles an hour? Imagine soaring effortlessly down the road on just a jolt of battery power. When that happens, it means less draw on gasoline from the 2.4-liter, four cylinder engine with six-speed automatic transmission that is the internal combustion part of the package. That means fewer stops at the gas pump since the hybrid designation comes from a combination of gasoline engine and electric motor. And naturally it means less digging for a credit card and a lot more crumpled greenbacks and loose change left in one's pocket. Inside the handsome interior, one finds a “Supervision” luminescent instrument cluster, heated front seats, tilt and telescoping steering wheel with audio, phone and cruise controls, plus Bluetooth capability with phone book transfer as part of the sophisticated audio/entertainment package. And, for traditionalists -- TADAA -- something called virtual engine sound system (VESS). Front fog lights highlight the sporty look outside. Among standard interior add-ons on the upscale Limited edition are leather seating, heated rear seats, touch sensitive navigation, Infinity premium audio, rear backup camera and 17-inch Eco-spoke alloy wheels with unique finish. How did Hyundai manage to up the performance at the same time it bettered fuel economy? An improved electric motor and more powerful yet smaller, lighter weight battery pack and upgraded hybrid system are behind the gains. If numbers complete the picture, that's represented by a 5 kW (kilowatt) bump up in electric motor output and a 13 kW jump in battery output -- the new numbers to watch for as hybrids continue to elbow the competition off the center of the fuel efficient vehicle stage. While those might make the non-techno eyes glaze over, the bottom line is a six percent best improvement (up from 36 to 38 MPG) in overall EPA fuel economy compared with last year's edition. We doubt that will confuse anyone. Does a more efficient ride automatically mean it will cost more? 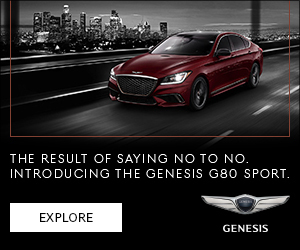 Nope, says Hyundai. When it rolled out pricing in February, the sticker price, excluding destination charges, on the entry hybrid version was $25,650. That's a $200 drop from the previous model. The upmarket Limited edition kicks off at $30,550. For those wanting a sky view, there's a panoramic sunroof option at $1,000. Tell you what. How about dropping off a pizza and suds while we wait at that driveway for the overdue car hauler? We'll buy your munchies too. For more information on Hyundai vehicles, click here.